This year’s Black History Month started 1st of this month in the US. Literature is an important medium of celebrating this historically significant period. We have therefore taken out time to select our favorite books for celebrating this year’s Black History Month. If you want to educate yourself—and have fun while at it—about the contribution that black people have had to history, pick up any of these books and dig in. See you on the other side of the back covers. 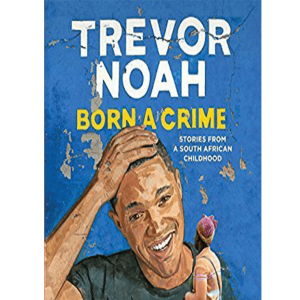 This groundbreaking humorous, satirical and emotionally enthralling memoir by Trevor Noah, is a story of his growing up years. This illuminating book is a story of discrimination he faced as a half-caste child growing up in apartheid and post-apartheid South Africa. You will laugh and you will wince. You will marvel and you will feel. Once you start, you will find dropping the book to be the most difficult task in the world. So You Want to Talk About Race tackles the contemporary racial landscape of America from a stunningly clear POV. 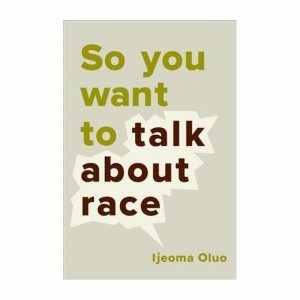 With such stunningly clear language and a willingness to tackle issues no one wants to, Ijeoma Oluo boldly explores about living as a black person in America, white privilege, the Black Lives Matter movement, police brutality, and systemic discrimination. With the words, “read it, then recommend it to everyone you know,” Harper’s Bazaar described it as one of the 10 books to read in 2018. 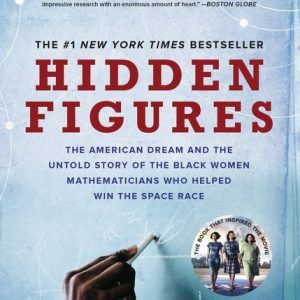 Hidden Figures is the almost unknown story of a group of black women who played an integral role in the United States’ ascent to the forefront of space travel and technology. This hitherto untold tale shattered racial and gender segregation at the time. If this plot rings a bell, you have most likely watched the award-winning film adaptation of this phenomenal book. You should get a paperback—or e-copy—too. It’ll make your Black History Month memorable. This YA bestseller, inspired by the Black Lives Matter movement, holds the story of a young black girl whose bestie is killed by the police in an act of racial violence and is then drawn into activism. 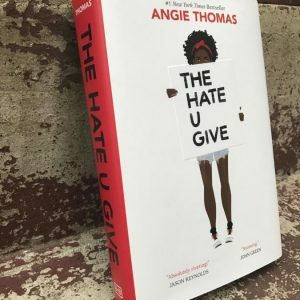 The Hate U Give spent its debut week at The New York Times young adult best-seller list and remained there for 50 weeks. It made the National Book Awards longlist for young adult literature and was nominated for a 2018 Carnegie Medal. Need we say more? If you haven’t yet read Americanah, then well, you should ASAP. Chimamanda Ngozi Adichie in her most recent full-length novel told the story of two Nigerians exploring race, identity and belonging while making their way in the US and UK. 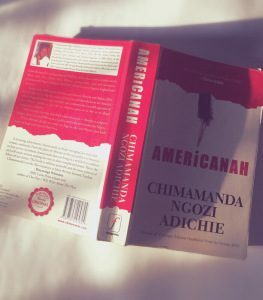 Americanah was recently listed on Barack Obama’s summer reading list. This book isn’t just about blackness and discrimination. It’s a gripping tale of so much more: love, family, gender roles, nuanced human relationships, et cetera. Janie Crawford, in search of her one true loves, meets Johnny by accident and wants to fall into him. Her grandmother isn’t having any of it, forces her to marry someone else, an older man named Logan Killicks. Janie then meets another man Joe Starks and elopes with him. It doesn’t end well and Joe dies later on. She eventually meets someone else who shows her what love means. Their Eyes Were Watching God is a deviation from the classic romantic novel formula. Definitely recommended. Have you read any of these books? 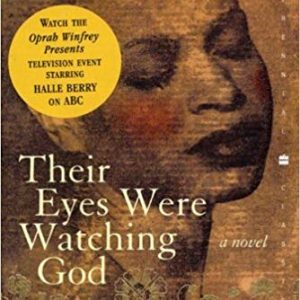 What books do you think should have been part of our Black History Month reading list? Please tell us in the comments section. If you would like tips on reading more books this year, please check out our article on How To Read More Books in 2019. Ama Udofa is the editorial manager of SynCity NG. Also a graduate of Biochemistry, yet, having been enchanted by remarkable storytelling, he has decided to pursue a lifelong romance with the craft. He mostly writes and edits marketing and critical content for a living freelance, and dabbles in literary stuff at his spare time. He is a recipient of the Igby Prize for Nonfiction, has been longlisted in The Writivism Short Story Prize, and recently earned an honorable mention at the 2019 Icelandic Writers Retreat Alumni Award. He has works in Brittle Paper, African Writer, Kalahari Review, AFREADA, Praxis Magazine Online, First Culture, and The Bagus. He hosts RHYTHMIFY, a periodic performance poetry concert at his alma mater and is currently at work on Safe Landing, a short story collection on gender and the self. When he’s not writing or reading, he’s pining over women he will never have a chance with. PRESS RELEASE: Dead Cats Don’t Meow to Be Released This Spring!